When he takes the floor for the first time on Wednesday night, Real Madrid captain Felipe Reyes will add another line to his legacy by becoming the Turkish Airlines EuroLeague's all-time leader in games played. His appearance against AX Armani Exchange Olimpia Milan in Round 27 will mark the 342nd EuroLeague game for Reyes in a career full of accolades. He will take over the all-time record from Juan Carlos Navarro, his former Spanish national teammate, who retired last season after appearing in 341 EuroLeague games over 17 seasons, all with FC Barcelona, the archrival of Madrid. Reyes started his EuroLeague career with Adecco Estudiantes at the dawn of the competition's original season, 2000-01, debuting against Peristeri of Greece on October 19, 2000. Reyes has played 14 of the last 15 EuroLeague seasons with Madrid. In his only season away from the competition, he helped Madrid capture the 2007 EuroCup title. 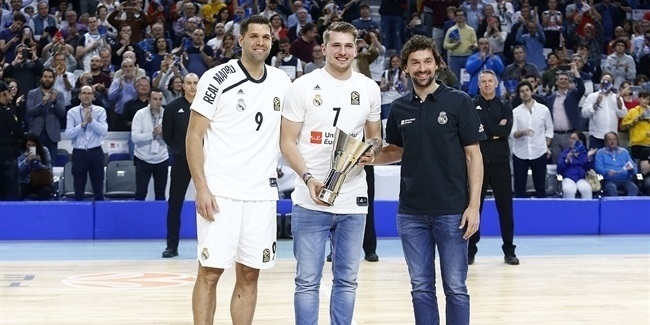 Reyes has led Madrid to six EuroLeague Final Four appearances and lifted the trophy as team captain in 2015 and 2018. He was chosen to the 2014-15 All-EuroLeague First Team. In addition to his impending record for games played in the EuroLeague, Reyes leads or ranks highly in several all-time statistical categories. He is the competition's career leader in rebounds (1,776) and offensive rebounds (692); ranks second in two-pointers made (957), fouls drawn (1,289) and free throws made (1,279); is third in points (2,986); and sits fourth in accumulated performance index rating (3,740). The road Reyes has taken to this accomplishment has been paved with success. He won Spain's Copa del Rey with Estudiantes in 2000 as a teenager alongside his older brother Alfonso. No sooner did Reyes join Real Madrid in 2004 than he started leading Europe's most-crowned club to a new golden age. 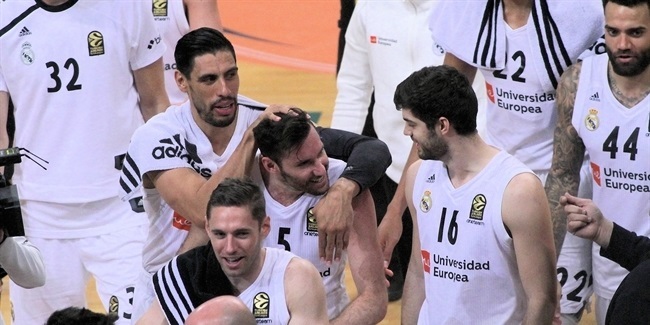 In addition to the club's first two EuroLeague titles in more than two decades, Reyes has celebrated six Spanish League, five Copa del Rey, four Spanish Supercup, two EuroLeague and an Intercontinental Cup titles with Madrid. Meanwhile, with the Spanish national team, he has won the 2006 FIBA Basketball World Cup, EuroBasket crowns in 2009, 2011 and 2015, as well as three Olympic medals – silver in 2008 and 2012, bronze in 2016 – and three other EuroBasket medals (bronze in 2001, silver in 2003 and 2007). His Spain teams also conquered the 1999 U19 World Cup and the 1998 U18 European Championships.